To enter the lost realm of Erebor and reclaim his kingdom, Thorin Oakenshield must find the secret back door to the Mountain. As revealed by magical moon runes on his map, any who would seek access to the hidden way must stand by the grey stone when the thrush knocks and the setting sun with the last light of Durin's Day will shine upon the key-hole. The first day of the Dwarves' year was calculated according to the last new moon of Autumn. Not every Dwarves' new year was a Durin's Day, though - only when the last moon of Autumn and the sun are in the sky together on this day is it a Durin's Day. I'll wear this with pride on Durin's Day. Finely crafted, nice detail. Wonderful souvenir! 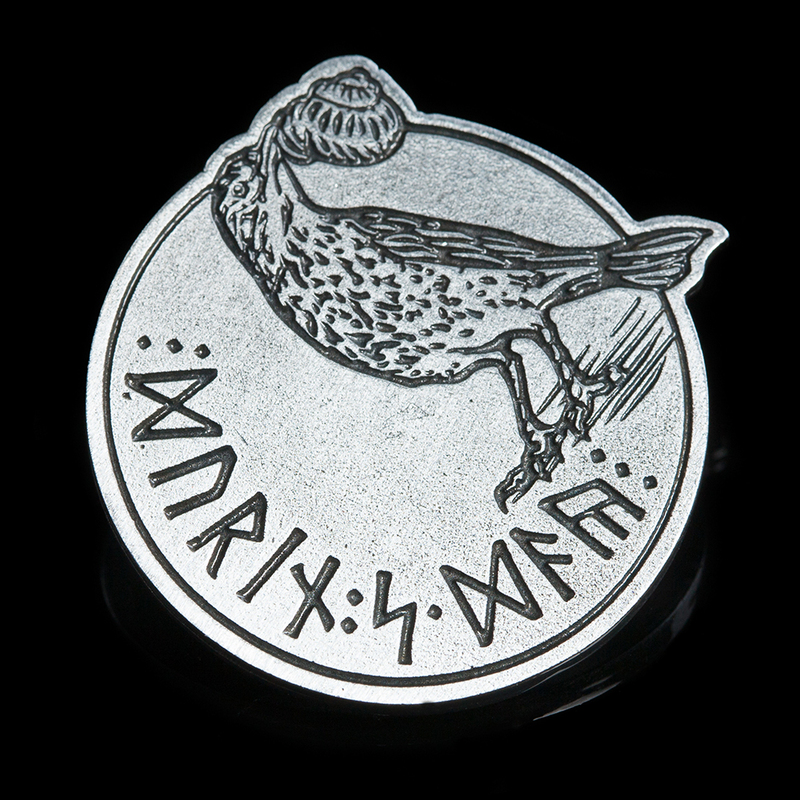 The pin is engraved on the front with Dwarven runes spelling 'Durin's Day' and a picture of the thrush. The reverse features the Weta logo. 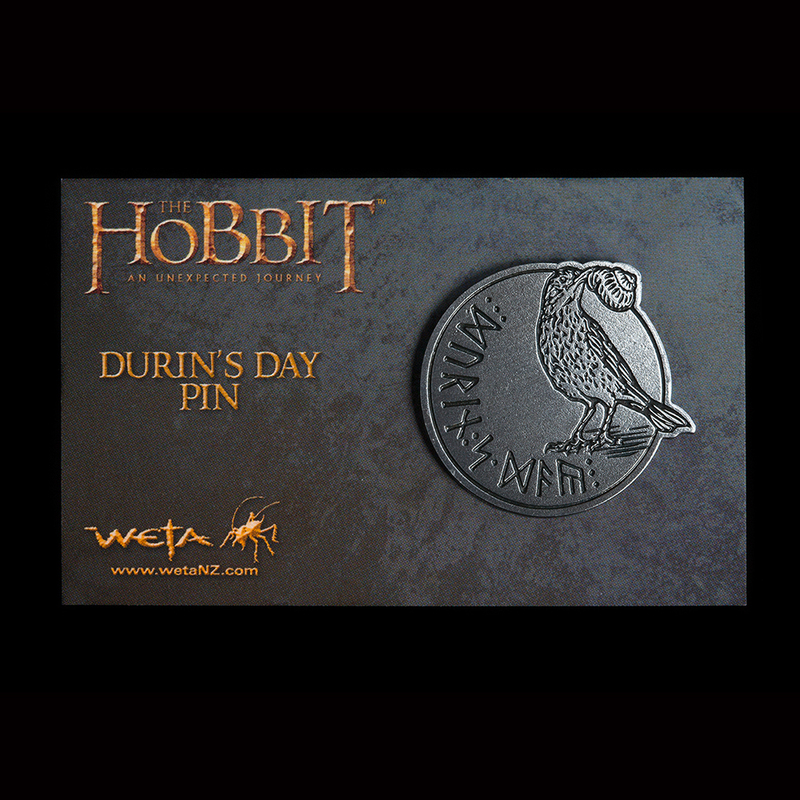 The Durin's Day pin is spincast from metal (Zinc Alloy) and comes mounted on a backing card inside a zip-loc bag. The diameter is 1.4 in (35 mm) and features a pin welded to the back for easy attachment to your clothing.